South African judge Thokozile Masipa said on Friday she would deliver her verdict in the murder trial of Paralympic and Olympic athlete Oscar Pistorius on September 11. Double-amputee Pistorius, 27, once a national icon for reaching the pinnacle of sport, is accused of murdering Reeva Steenkamp, a law graduate and model, at his home in Pretoria on Valentine's Day last year. 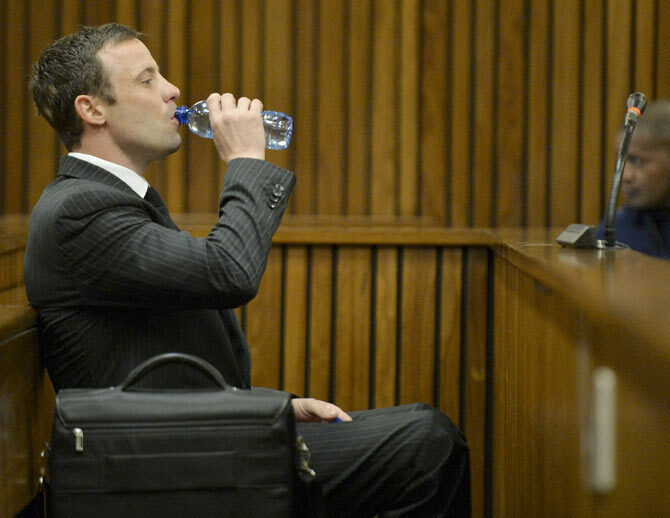 Pistorius says he shot Steenkamp in a tragic accident, mistaking her for an intruder. Earlier, Pistorius' defence put their case forward saying the 'Blade Runner's' "primal instincts" kicked in when he shot dead Steenkamp because he was in a vulnerable and fearful state. The defence said Pistorius, nicknamed the 'Blade Runner' after the carbon-fibre prosthetic running legs he uses, shot Steenkamp through a locked toilet door believing she was an intruder. State prosecutor Gerrie Nel has spent the trial, which began in March, portraying Pistorius as a gun-obsessed hothead who deliberately shot Steenkamp, 29, four times through the door of the toilet, where she was taking refuge after an argument. Defence lawyer Barry Roux said during his closing arguments that psychological evidence had proven the track star had a heightened fight response and naturally faces danger because of his disability. "You're standing at that door. You're vulnerable. You're anxious. You're trained as an athlete to react. Take all those factors into account," Roux said, adding that Pistorius had felt exposed because he was standing on the stumps of his legs. "He stands with his finger on the trigger, ready to fire when ready. In some instances a person will fire reflexively," he added. "That is your primal instinct." Roux also argued that prosecutors had only called witnesses who supported their argument and not other key people, including police officers, who he said would have undermined their case. On Thursday Nel said Pistorius had told "a snowball of lies" and had called on Judge Thokozile Masipa to convict the track star of intentional murder, a crime which could land him with a life sentence. A potential lesser charge of culpable homicide -- comparable to manslaughter -- could carry a sentence of about 15 years. To arrive at a verdict, Masipa and her two assistants will have to weigh up the credibility of testimony on both sides, including that of Pistorius, who endured more than a week of torrid cross-examination during which he broke down repeatedly. In the absence of a jury, experts say the crux of the case is whether Masipa believes or rejects Pistorius' version of events. Masipa, only the second black woman to be appointed a high court judge in post-apartheid South Africa, has to analyse more than 4,000 pages of evidence and it could take several weeks for her to come to a final verdict. Roux said the trial should only ever have been on the charge of culpable homicide, rather than murder, because he said Pistorius had clearly shot Steenkamp by mistake. Steenkamp's dramatic death has shattered the image of Pistorius as an embodiment of triumph over adversity for both his Paralympic victories and his success against able-bodied athletes at the 2012 London Olympics. 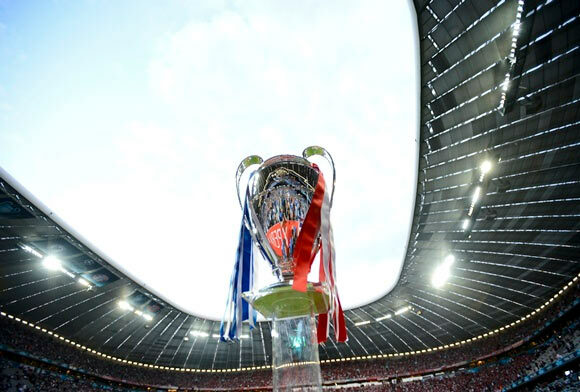 Napoli will play Athletic Bilbao and Arsenal face Turkey's Besiktas for a place in the Champions League group stage following the playoff round draw on Friday. Twice former champions Porto were also handed a difficult draw as they were paired against Lille, with the French club at home in the first leg. Scottish champions Celtic, reprieved after third qualifying round opponents Legia Warsaw fielded an ineligible player in their 6-1 aggregate win, will meet Slovenian champions Maribor. The first legs will be played on August 19/20 with the returns on August 26/27. 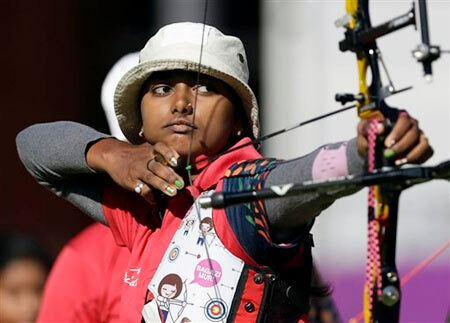 Deepika Kumari will battle for a bronze in the individual recurve section after losing the semi-final of the Archery World Cup Stage IV being held in Wroclaw, Poland. Deepika lost to Jing Xu of China 6-5 in the semi-finals on Thursday and she will now take on Tatiana Segina of Russia in the bronze medal play-off on Sunday. The loss may also prove to be vital for the three-time World Cup Final silver medalist's hope for a place in the season-ending meet in Lausanne from September 5-7. In the women's compound individual, Purvasha Shende lost to Sara Lopez of Colombia 143-141 in the quarters while none of the other Indians could even make the last eight. The Court of Arbitration for Sport (CAS) began its hearing on Friday into Uruguay forward Luis Suarez's appeal against his ban for biting Italy defender Giorgio Chiellini in a World Cup match. 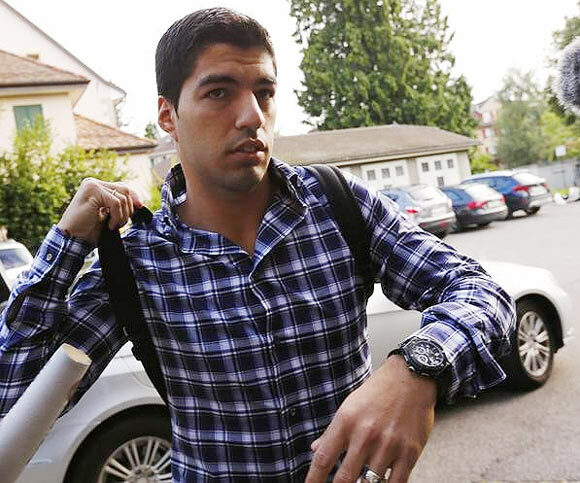 Suarez, who has left Liverpool and joined Barcelona since the incident, has already lost an appeal before FIFA’s own disciplinary committee. Banned twice before for biting, he initially denied sinking his teeth into Chiellini but then apologised for the incident one week later. The hearing, expected to last all day, was being held behind closed doors and CAS said in a statement that "the final decision is likely to be rendered some days after the conclusion of the hearing." The ban means that Suarez will not be able to make his Barcelona debut until the end of October and will miss the whole of next year's Copa America in Chile, when Uruguay play their next competitive matches. Uruguay will play a minimum of three and maximum of six matches at the Copa, meaning that Suarez will also miss between three and six matches of the 2018 World Cup qualifying campaign. "The biggest issue is the nine matches because it could mean, depending on the performance of Uruguay in the Copa America, that Suarez could be prevented from playing (for Uruguay) until 2016," said Daniel Cravo, a lawyer representing the Uruguayan Football Association (AUF). "(That) is a long journey for a player who is already 27 years," he told reporters. "We have to have a controlled optimism because we have to respect the panel." Following the departure of Carles Puyol from the club, FC Barcelona have announced four players who will wear the captain’s arm-band in the upcoming season. Star mid-fielder Xavi Hernandez got a promotion and will assume the role of Barca's first captain following six seasons of experience as the team's second captain. 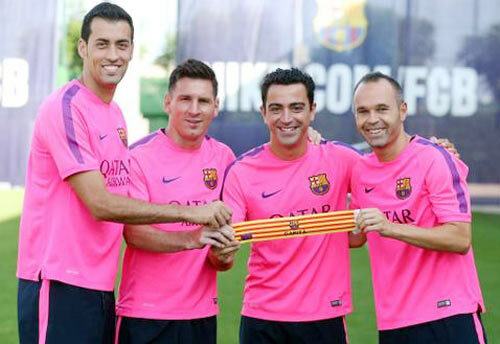 “These will be the four captains in the 2014/15 season,” FC Barcelona tweeted with a picture on Thursday. Andres Iniesta is named second captain while Lionel Messi and Sergio Busquets will be Barca's third captain and fourth captain. The decision was made following a vote between all the members of Barca's first team on Tuesday. 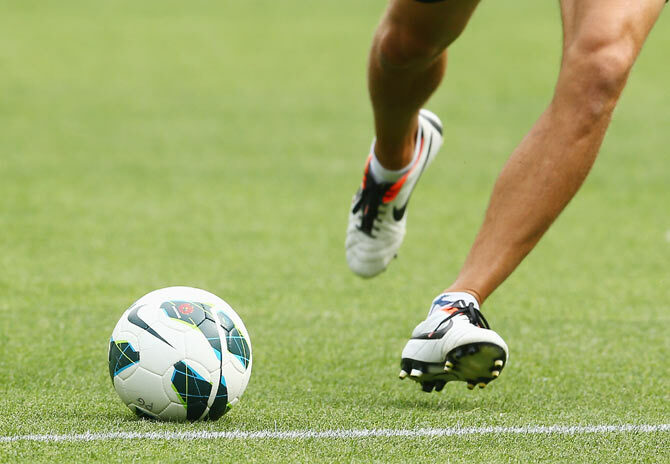 A Singaporean third division soccer player has been banned for a year by the country's football association for his role in a brawl at the end of a match, with six of his teammates and the club also punished. Nur Sazrin Bin Sapuan of Bishan Barx FC was slapped with the severe punishment and also handed a S$500 fine after being found guilty of misconduct and bringing the game into disrepute by the Football Association of Singapore (FAS). The incident occurred after Bishan's 3-2 defeat by Siglap CSC in June, with the police called to the Jurong West Stadium and several players requiring medical attention, local media reported. Sarzin's teammates Annuar Zuhaili Bin Rasidin and Mohd Khairul Bin Abdul Salam were handed eight match suspensions and S$500 fines, with Goh Sheng Ren Aaron, Mohamed Azmi Bin Mahamud and Muhammad Norisham Bin Zulkifli given six match bans. Muhammad Faiz Abdul Rahim was handed a five match ban, with the club deducted five points and also fined S$1,000. Meet Donovan, America's first soccer star!